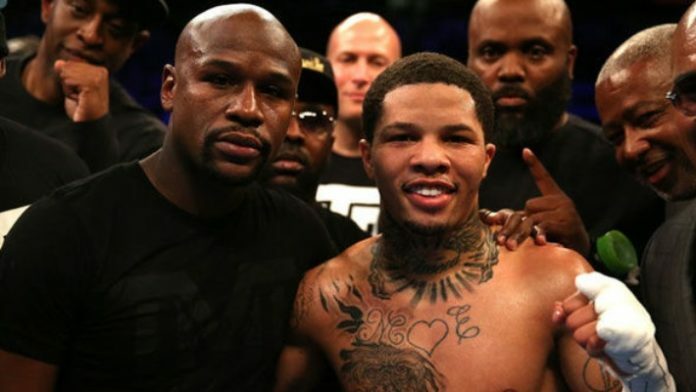 Undefeated boxing king Floyd Mayweather Jr. believes WBA super featherweight champion Gervonta Davis will be a household name in the sport. 50-0 boxing legend Floyd Mayweather will forever go down as the greatest the sport has ever seen. Now that his days of fighting regularly are over, boxing has moved on to other top stars like Anthony Joshua and Canelo Alvarez. While both aforementioned names are great, it’s hard to believe anyone will ever replicate the same amount of star power that “Money” has. However, Mayweather remains involved in the boxing game, helping mold today’s stars such as current WBA super featherweight champion Gervonta Davis. Davis is undefeated in his boxing career at 21-0. He possesses some of the scariest knockout power in the lower weight divisions. Over the weekend, “Tank” successfully defended his title against Hugo Ruiz with a vicious first-round showing. “I’m extremely proud of Tank,” Mayweather said. “No matter what, he’s young – he’s gonna go through things. My thing is this, and I told him … I want him to focus more on raising his [7-month-old] daughter and working hard in the gym, surpassing me. “The ultimate goal – if any fighter can surpass me, it’s this young man right here, which I truly believe. He’s gonna be a household name. He’s gonna be a pay-per-view star. What do you think about Mayweather predicting Davis will be a household name?